After a wild 2018 Olympics filled with confusing, hilarious, and amazing moments, maybe most surprising of all was the US's first gold medal in curling. 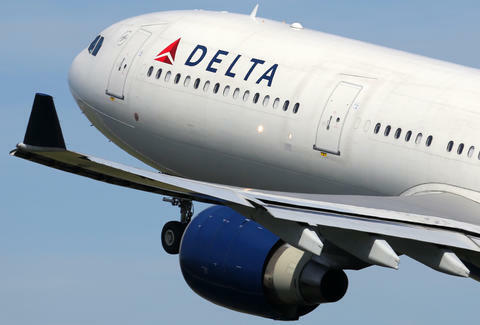 After that hardwon 10-7 victory over Sweden, the team was understandably riding high and turned to Delta for some champion-level treatment for its return flight. The US curling team tweeted at Delta Airlines and explicitly asked for an upgraded victory flight home from PyeongChang. Curling coach Phill Drobnick, who was tagged in the tweet, also joined in, explaining how many seats would be needed and shouting out Delta's luxury flight class. Delta, however, claimed it didn't have any upgrades to offer. Some would argue that the CEO of Delta should have personally flown the team over the sea in an American flag hot air balloon. But Delta's certainly not under any obligation to give the champs better seats. When asked about the company's refusal, a Delta spokesperson told Inc.: "We are excited these Olympic champions have chosen to fly home on Delta, and we are looking forward to welcoming them on board. While there are no seats currently available for upgrades, we are working with our employee teams to celebrate their gold-medal achievement ahead of departure and in flight." James Chrisman is a News Writer at Thrillist who is always very charmed when CEOs fly people over the sea in hot air balloons. Send news tips to news@thrillist.com and follow him on Twitter @james_chrisman2.